The most striking scene for this reader was Jane's hesitation upon entering the breakfast-room where she had been summoned. As she turns the handle of the door what should she see besides the familiar visage of Mrs. Reed? "passing through, and curtseying low, I looked up at -- a black pillar! -- such, at least, appeared to me, at first sight, the straight, narrow, sable-clad shape standing erect on the rug; the grim face at the top was like a curved mask, placed above the shaft by way of capital." This was the eminent Mr. Brocklehurst whose institution would be taking over the care of young Jane for the foreseeable future. 1.) The novel opens on a very dreary, rainy November afternoon. How do you think this contributes to the general mood of the first chapter? The first sentence declares that taking a walk was not a "possibility" that day, leading the reader to an expectation of why this might be that is immediately answered in the second sentence. This not only establishes the mood of the story but provides a foundation for Jane's tale of woe at the hands and minds of the Reed family. Beginning the novel in November suggests the idea of death in nature with the trees and bushes losing their leaves and the wind howling. The mood is underscored by Jane's description of the "pale blank of mist and cloud" and "ceaseless rain". Another aspect of the dreary opening description is to provide contrast with Jane when she engages in her solitary activities such as daydreaming and reading her bird book. 2.) What literary function do curtains and draperies have in the opening chapters? Along with other aspects of the story such as the dreary condition of the weather on the opening pages these items are metaphors for certain ideas that we will likely continue to encounter as the story progresses. They can be seen standing for the separation between Jane and the Reed family, but more importantly as a symbol of death along with the color red. I am reminded of Poe's Masque of the Red Death where he uses similar motifs in a much more horrific setting. It also isolates Jane, not just from the family, but also from nature and any source of goodness and hope. The blinds in the "Red Room" are already drawn but the "red" curtains add to the separation. One cannot fail to note the Freudian overtones of the red damask curtains around the bed that make it seem like a "tabernacle". Overall they add to the majesty of the room (it sounds like something out of a museum), but note that Jane describes it as a "vacant" majesty. This may suggest simple unreality or something more sinister like the supernatural. 4.) Bessie's attitude toward Jane is inconsistent; at times, she's kind toward the child, while at others, she scolds her unfairly. Why do you think she acts this way? I believe that the inconsistency of Bessie's attitude toward Jane is a bit of realism in this very Romantic novel. Given her position vis a vis Mrs. Reed she may find it difficult to contradict her employer. In spite of that I believe her true nature shines through with certain acts of kindness that lead to the reconcilement in chapter IV that I discuss below. 5.) Jane speaks more like an adult than a child, especially in the scene with Mrs. Reed, after Brocklehurst leaves. Do you think this is because she's a very intelligent, precocious child, or is this simply an unrealistic part of the novel? I believe this is intentional on the part of the author. Jane is a first person narrator and, while we enter her story on a somber day dominated by a "cold winter wind", she appears from the beginning to be an adult looking back at her life and telling her story beginning when she was a ten-year-old girl. While she is undoubtedly more intelligent than the Reeds give her credit for I find this a reasonable way for the author to present the young Jane to the reader. What I find more interesting is her psychological development: We see her on the first two pages shutting herself away from the "ceaseless rain" outside, but also shutting herself away from the physical attacks of young John Reed and the psychological torture of Mrs. Reed. By chapter IV she has summoned the internal energy to speak up to Mrs. Reed saying "I am not deceitful: if I were I should say I loved you; but I declare I do not love you: I dislike you the worst of anybody in the the world except John Reed;"
We see further evidence of her psychological growth as she reconciles with Bessie, the only person in the household who had shown Jane true kindness. And on the following page there is one of the most pleasant moments in the first five chapters when Jane closes chapter IV with the following, "and in the evening Bessie told me some of her most enchanting stories, and sang me some of her sweetest songs. Even for me life had its gleams of sunshine." 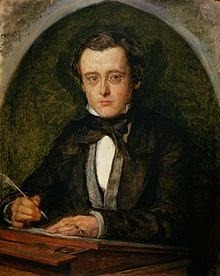 My reading of Wilkie Collins started with The Moonstone. It’s often credited with being the first “detective novel,” but it isn’t. It is considered a classic, but it’s boring and poorly plotted. I do not remember why I read it. 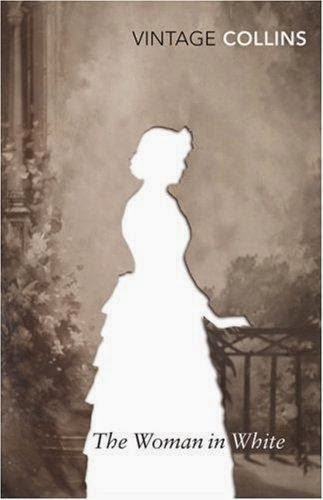 About a year ago I finally read another novel by Wilkie Collins, The Woman in White. While perhaps the least needing of publicity, it seems to be the best book with which to introduce Wilkie Collins to the uninitiated. It was originally published serially in Charles Dicken’s magazine All The Year Round in 1859, and then in book form in 1860, heralded the arrival of the “sensation novel.” The book was an instant smash. Indeed, since its publication, it has never been out of print. 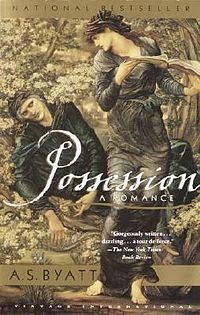 Other authors quickly followed his lead, working from the genre’s central technique: infusing the domestic sphere with a Gothic stream of mystery, secrets, dark intentions and deep anxiety about sexuality and identity. Collins, however, remained peerless in creating thrills and developing character. His dialogue is so crisp, his backdrops so vivid, and his pacing so suspenseful that he foreshadows an entirely new medium of storytelling: cinema. His prose is remarkably modern and a breeze to read. His female characters are particularly sympathetic and fascinating. Upon the publication of The Woman in White, one male reader wrote to Collins to demand the identity of the woman who had inspired the character of “Marian Halcombe.” Besotted by her intelligence and mystique, he wanted to ask for her hand in marriage. Alas for the fan, she sprang entirely from Collins’s mind. As the story opens, our hero, Walter Hartwright, encounters a woman – in white—on a lonely road at midnight. She asks him the way to London. Despite her ghostly garb, she is quite human. She speaks with intensity borne of fear, referring vaguely to a predator lurking nearby. This spooky meeting is a hallmark of Collins’s work: he juxtaposes Gothic chill with human vulnerability. The Woman in White is told from multiple perspectives, beginning with Walter’s. It is on his way to Limmeridge House to work as a drawing master to Marian Halcombe and her sister, Laura Fairlie, that he meets the woman in white. It is but his first glimpse of her, and far more unsettling events lie in wait. When Count Fosco and Sir Percival Glyde arrive at Limmeridge, the plot accelerates and the pages fly. Eventually, Marian must go to war with the Count. In a twist characteristic of Collins’s novels, a man falls for a plain-looking woman because he admires her brain. The Count’s romantic yearning for Marian, who detests him, is one of the most fascinating portraits of love to be found in Victorian literature, for the Count is a cynic and Marian is anything but a fair damsel painted in a soft hue. 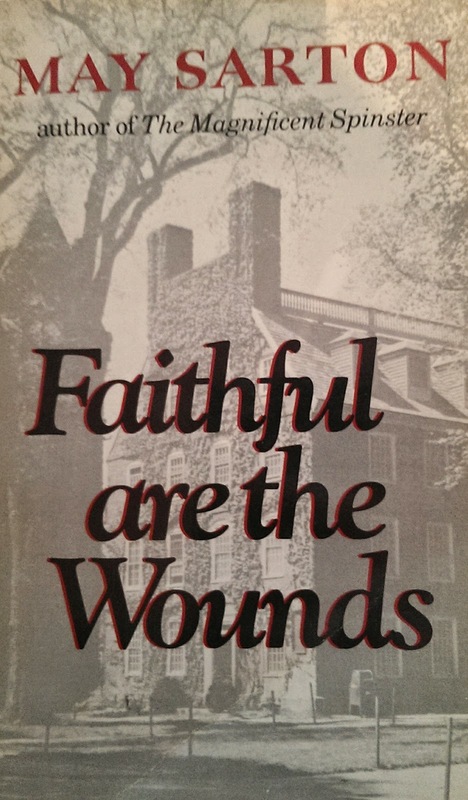 There’s a lot of plot in this book including eavesdropping in the rain, kidnappings, asylums, mistaken identities, whispered warnings, severe emotional suffering and (possibly) murder before the book reaches its final confrontation. There is also great love and tremendous perseverance. And the book possesses the rarest of traits in suspense novels: an utterly satisfying conclusion. Next, read No Name, in which young Magdalen goes undercover to fight a law that deprives her of her rights, encountering danger and evil at every turn. Read Basil, in which Collins explores the contours of infidelity and society’s differing attitudes toward the sexuality of men and women. Then find all the rest of them and you will have a year’s worth of dizzying plots and compelling characters to keep you company. But start with The Woman in White; it is the most famous of Collins’s tales and deservedly so. is this your first reading? This novel is one of my lifetime favorites. It has become one of the handful of novels that I have read and reread my whole life. I am not sure what my original fascination was although the mystery and sinister nature of the boarding school Jane attended was riveting - a different world. It was in 1847 that Charlotte Brontë's Jane Eyre was published, more than a century before my birth. The reviews were mixed. William Thackeray, who wrote another favorite of mine -Vanity Fair, called it "the masterwork of a great genius." One reviewer said: "This is not merely a work of great promise; it is one of absolute performance. It is one of the most powerful domestic romances which have been published for many years." 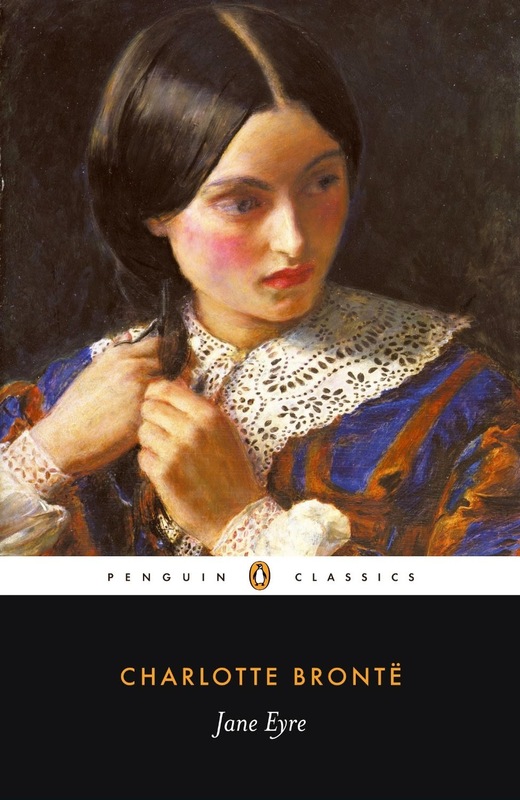 However, many reviews were negative and some were focused on trying to figure out who had written Jane Eyre, and especially whether the author was a man or a woman. Charlotte Brontë had published the book under the androgynous pseudonym Currer Bell, the same one she had used a year earlier when she published poems by her and her sisters, Emily and Anne. That it is still being read and appeals to readers today speaks to its status as a classic. I believe I saw the 1943 version of Jane Eyre on television many years ago. It starred Orson Welles and Joan Fontaine with Margaret O'Brien as Adele and Peggy Ann Garner as the young Jane. After this reading I think I will view one of the more recent film adaptations. Gustav Theodore Holst was born on this day in 1874. He was an English composer, arranger and teacher best known for his orchestral suite The Planets. He is also one of my favorite composers since I was in high school where I learned about his music through playing his first and second suites for military band in our high school wind ensemble. These melodious works were a wonderful introduction to his art. Holst composed a large number of other works across a range of genres, although none achieved the relative popularity of The Planets. His distinctive compositional style was the product of many influences, Richard Wagner and Richard Strauss being most crucial early in his development, the subsequent inspiration of the English folksong revival of the early 20th century, together with the example of such rising modern composers as Arnold Schoenberg and Maurice Ravel, leading Holst to develop and refine his own individual style. The influence of folk songs is evident in his compositions for bands including the suites mentioned above, the Saint Paul Suite, and others. There were professional musicians in the previous three generations of Holst's family, and it was clear from his early years that he would follow the same calling. He hoped to become a pianist, but was prevented by neuritis in his right arm. Despite his father's reservations, he pursued a career as a composer, studying at the Royal College of Music under Charles Villiers Stanford. Unable to support himself by his compositions, he played the trombone professionally, and later became a teacher—a great one, according to his colleague Ralph Vaughan Williams. Among other teaching activities he built up a strong tradition of performance at Morley College, where he served as musical director from 1907 until 1924, and pioneered music education for women at St Paul's Girls' School, where he taught from 1905 until his death in 1934, raising standards and so laying the foundation for several professional musicians. He was the founder of a series of Whitsun music festivals, which ran from 1916 for the remainder of his life. 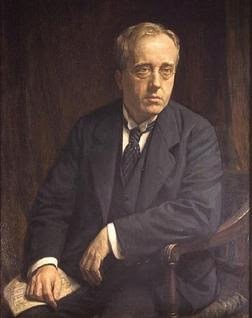 Holst's works were played frequently in the early years of the 20th century, but it was not until the international success of The Planets in the years immediately after the First World War that he became a well-known figure. A shy man, he did not welcome this fame, and preferred to be left in peace to compose and teach. In his later years his uncompromising, personal style of composition struck many music lovers as too austere, and his brief popularity declined. Nevertheless, he was a significant influence on younger English composers, including Edmund Rubbra, Michael Tippett and Benjamin Britten. Apart from The Planets and a handful of other works, his music had limited appeal, but has seen a revival in recent decades. Among my favorites are his music for military band, especially the opening march from the Second Suite in F. I also love the ballet music for The Perfect Fool, and his songs including his setting for the carol "In the Bleak Midwinter". It is this carol that in its quiet majesty reminds me of many a Christmas eve carol service. "once it was generally known that Mary has both beer and pretty daughters, the Empress of Mars was in business. 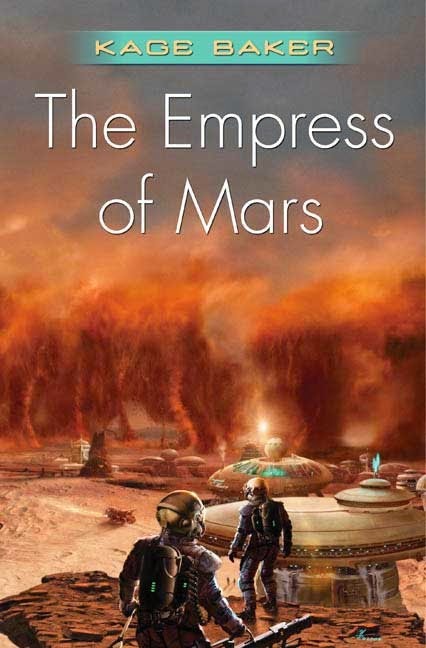 Set on Mars in the distant future this enjoyable novel by Kage Baker was written with a style that reminded me a bit of some of the stories of Ray Bradbury. Mars has been settled initially by the equivalent of the British East India Company, who are of course interested in profit above all else. At first, they lure the best scientists in the hope of making Mars fruitful, but when that turns out to be more costly and difficult than expected, they abandon these people with only no support leaving only the hardiest among those who succeed. One of these survivors opens a saloon, The Empress of Mars, which caters to long-distance drovers and accumulates a host of misfits. The story centers on Mary Griffith and her friends. After being let go as the xenobotanist for British Arean, she makes a new life for her and her daughters on Mars. The story charts the gradual development of the tiny colony into a self-sufficient city. A series of new settlers arrive on Mars over the course of events, each of whom ends up becoming pivotal in the establishment of a new service for the city. Mary and her allies must contend with interference by British Arean Company, resistance from various local collectives and a Neo-Pagan Ephesian Church. There is plenty of scientific background about Mars to hold the interest of all but the most particular hard science fiction fans. The climate, one that seemed at times comparable to Antarctica only with a red tinge, and its impact on the society that has developed on Mars is especially well-drawn. This was brought home effectively early in the novel when a young man succumbs to the incredibly unforgiving climate in a scene that was tremendously emotional. Everyone is just barely holding on until like Sutter in nineteenth century California Mary discovers diamonds on Mars. In true Kage Baker style, the Martian misfits have resources undreamed of by the British Arean Corporation. This easy-going writing style, the engaging humor, the fascinating characters, and their interesting story made this an above-average science fiction novel. Among the many memoirs I have read this is one of the most beautiful and meaningful. Gregor Von Rezzori has an uncanny ability to create beautiful metaphors that convey a sense of both place and history. It is this that sets his memoir apart from the others. The memoir is subtitled "portraits for an autobiography". Thus Von Rezzori structures the memoir around the members of his family with chapters titled simply "The Mother", "The Father", and "The Sister". These are his portraits and it is only when he wrote two chapters about people close to him as family, but not related, that he gave them names, "Cassandra" and "Bunchy"; these being the childhood appellations by which they were known to him and his family. The result of this organization by family portrait provides a chronological mosaic made up of vignettes melded together by his memory. The memoir ends with a short epilogue where, among other things, the adult Gregor Von Rezzori (who has become an accomplished journalist, media personality, and author) shares his personal return to his birthplace of Czernowitz and found that "it wasn't the Czernowitz whose vision I had carried in me for half a century". He found like so many who grow up and leave their home of birth that you literally cannot go home again for the place you left is different than the myth your mind has created and hidden by the mists of time. The story of this memoir is ultimately one of dissolution of both an idea and an ideal. It is memorable for the beauty and love that was experienced by this often lonely man. It is this that shines through and creates a glowing memoir of a yesterday that will remain forever impressed upon all who read it. 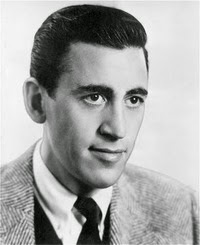 Rereading J. D. Salinger I am impressed with the books that his characters are reading. In the beginning section of Franny and Zooey, Lane Coutell is engaged by his classmate, Ray Sorensen in a brief interchange regarding Rilke's "Duino Elegies" which they both are supposedly reading for a class on modern European literature. Another example is a moment, merely an aside, when reading and literature intrudes again within a few pages. Franny has arrived on a train and she and Lane settle in to relax at a cafe, one frequented by the "intellectual fringe" of students at the college, to which, apparently, Lane and Franny belong. Soon the conversation includes references to Flaubert and Dostoevsky and the true nature of the "bon mot". The contrast between Lane, who has written a paper on Gustave Flaubert (a writer whose search for authenticity is his hallmark) and Franny whose search for authenticity in her own life is floundering seems key to this short story. Disappointingly, Franny seeks solace in mysticism (The Way of a Pilgrim). The presence of literature as a natural part of the background and conversation is not surprising in Franny and Zooey, but it is, if not surprising, certainly interesting in the beginning chapters of The Catcher in the Rye. The protagonist (anti-hero), Holden Caulfield, is not an example of a serious student, in fact he is being asked to leave Pencey Prep because he was flunking most of his subjects and was "not applying" himself to his schoolwork. However, he is clearly not unintelligent, but rather just uninterested in the formal academics as practiced at Pencey Prep, or the several previous schools he had successively been asked to leave. In spite of this lack of interest in his schoolwork Holden is a reader. And quite an eclectic reader in spite of his own somewhat contradictory assessment: "I'm quite illiterate, but I read a lot. "(p 18). Obviously, before you are one quarter of the way through the book you are aware that he is not 'literally' illiterate, and that you often must be attentive to what Holden does rather than what he says, in spite of his fascinating narrative voice. It is this voice that more than anything brings this reader back to the book again and again. But, regarding his reading and choice of authors, he has good taste in literature, at least for a teenager. For I, too was taken with Thomas Hardy's The Return of the Native, although I found Clym Yeobright to be just as interesting, if not more, as Eustacia Vye - the heroine who Holden likes enough to want to "call old Thomas Hardy" and have a chat (how interesting that would be). Now, decades after I first read Catcher, and even more since, at about the same age as Holden I fell in love with the novels of Hardy, I find it fascinating that reading is an important aspect of the characters of J. D. Salinger, both when they are budding intellectuals and when they are merely fascinating "illiterates" on a journey of discovery. In November of 1911 Theodore Dreiser sailed for Europe with his English publisher Grant Richards. Dreiser would spend almost six months touring England, with side trips to Florence and Berlin. He returned on 11 April 1912 on the liner Kroonland, having passed up the opportunity to sail on the maiden voyage of the Titanic two days earlier for lack of funds. Having come that close to disaster he would have to continue writing in America to produce the books whose advances had funded his trip abroad. One of those books was his fifth novel, The "Genius", published in 1915. 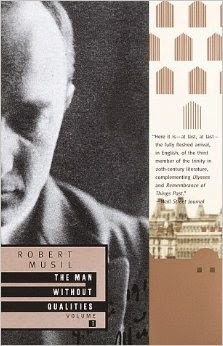 The "Genius" is a novel dealing with the American Artist and his search for a place in American life. The three sections of the novel narrate the story of an artist who begins his life in a small Midwestern town and eventually reaches the heights of magazine publishing in New York City. The first part, "Youth", contains some of Dreiser's best writing and chronicles the youth of Eugene Witla growing up in a middle-class family in Illinois. He moves to Chicago where he becomes a newspaper illustrator and studies evenings at the Art Institute. His life there includes a variety of jobs and the beginnings of his relationships with women that will become an important theme in the book. He returns home and meets a young girl from Wisconsin, Angela Blue, who will he will eventually marry; but only after having spent time as an illustrator in New York. Developing his career there he becomes an artist with potential for major success. The first part of the novel concludes with his return to Wisconsin as he is about to marry Angela, a farm girl who is older and much more conservative than Eugene, the eager independent artist. Their differences are never reconciled over the course of a marriage that covers most of the succeeding two sections of the novel. "Youth" is by far the most successful part of the novel as the remaining five hundred-plus pages of parts two and three become somewhat repetitive with Eugene's multiple affairs with women as background to his rise as a painter and ensuing nervous breakdown. His own destructive impulses impair his career and wound his marriage. Some have suggested that Dreiser's attempts to adapt the story too closely to his own biography may account for some of the problems of these sections. Eugene's life seems to drift. At his peak his genius for painting seemed sui generis and he was becoming recognized in artistic circles, but he made questionable decisions about the direction of his life that took him away from pure art and into the publishing business and investments where, after some apparent success, he ultimately failed. The epic scope and strength of the novel are marred by unrealistic passages and melodramatic moments and ultimately a failure of the novelist to present a coherent direction for Eugene's life. Dreiser's power as a story-teller holds the novel together in spite of these issues, but he is not able to succeed in bringing it to the level of his earlier successes in Sister Carrie, Jennie Gerhardt, and The Financier. Dreiser's main critical champion, H. L. Mencken, praised its epic panorama while recognizing the "rambling, formless, and chaotic" nature of much of the novel. Other literary critics were less kind. As a fan of Dreiser's work for many years I recognize the flaws but would nonetheless recommend this novel to any who have first enjoyed the best of his novelistic efforts. The greatness within The "Genius" is easier to perceive with that reading as your background. Harry Mulisch was born in Haarlem, Netherlands and lived in Amsterdam from 1958 until his death in 2010. His father was from Austria-Hungary and emigrated to the Netherlands after the First World War. During the German occupation in World War II his father worked for a German bank, which also dealt with confiscated Jewish assets, while his mother, Alice Schwarz, was Jewish. Mulisch and his mother escaped transportation to a concentration camp thanks to Mulisch's father's collaboration with the Nazis, but his maternal grandmother died in a gas chamber. His novel, The Assault, opens in Netherlands near the end of World War II. The narrative focuses on the persistence of memory in his protagonist, Anton Steenwijk. Five episodes from Anton Steenwijk's life are described in this novel, representing five stations of his life: from 1945, 1952, 1956, 1966, and 1981. It is the first that is the most significant, describing the assault of the novel's title. It is his memory of this assault, the massacre of his family, that permeates and shapes the rest of his life in ways that he has difficulty comprehending. The narrative presents episodes in Anton's life; each episode overshadowed by his memories of the assault. At one level, the book can be read as a detective story, reminiscent of Simenon, with intriguing twists and turns and a definite solution. It is also a morality tale (though one that doesn't point out any easy moral), a dark fable about design and accident, strength and weakness, and the ways in which guilt and innocence can overlap and intermingle. What impressed me was the authors ability to convey Anton's feelings of alienation and isolation from others. His struggle, often due to his memories, to overcome these feelings color all of the subsequent episodes. Told against the backdrop of shifting Dutch post-war society, centered around significant points in that history -- the reaction to the events in Budapest in 1956, the release of Willy Lages (head of the Gestapo in Holland), anti-nuclear protests in 1981 -- Mulisch paints a canvas of the difficulties of Dutch society in coming to terms with the events of the war. There are no easy answers for Mulisch, no simple blame to assign, even where it first appears there might be. Mulisch, using a taut and subtle style, explores questions of guilt and innocence, heroism and cowardice in this spellbinding and moving novel. While very different in style and tone from Wolfgang Koeppens' Death in Rome, Mulisch's novel is just as effective in portraying the lasting impact of the War on Europe. The Assault is one of the best novels I have read, in fact it is one of the finest examples of European postwar fiction. Mulisch also gained international recognition with the film adaptation of The Assault. It received an Oscar and a Golden Globe for best foreign movie in 1986. 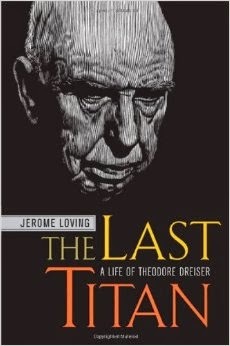 Having recently read Theodore Dreiser's novel The "Genius" (review forthcoming), I have turned to his biography, The Last Titan by Jerome Loving, for background information and because he is one of my favorite American novelists. Also on my table as September begins are: May Sarton's Faithful are the Wounds: a novel about liberals in academia in the fifties; Possession: a romance by A. S. Byatt, a Booker Award winner; The Man Without Qualities, Volume 1 by Robert Musil, my long-term study group project; and, my next science fiction selection, The Empress of Mars by Kage Baker. I plan to be reviewing these sometime this month. 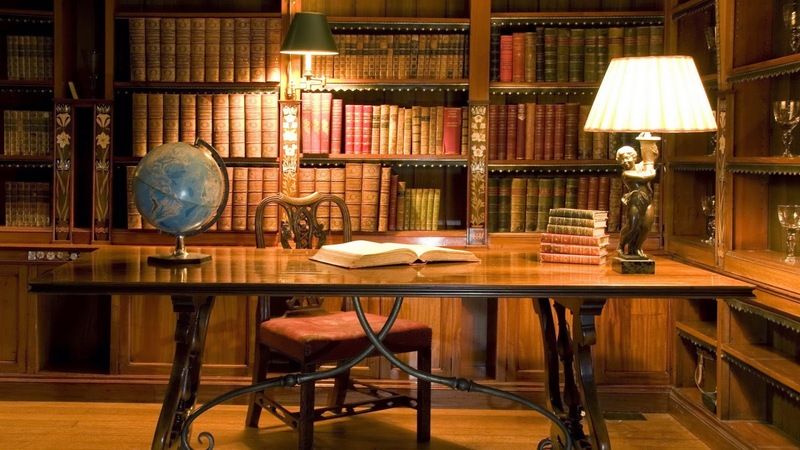 The only knowledge that involves no burden is found, it may be justly claimed, in the books that are left unread. I mean those which remain undisturbed, long and perhaps forever, on a student's bookshelves; books for which he possible economized, and to obtain which he went without his dinner; books on whose backs his eyes have rested a thousand times, tenderly and almost lovingly, until he has perhaps forgotten the very language in which they are written. He has never read them, yet during these years there has never been a day when he would have sold them; they are a part of his youth. In dreams he turns to them; in dreams he reads Hebrew again; he knows what a Differential Equation is; "how happy could he be with either." He awakens, and whole shelves of his library are, as it were, like fair maidens who smiled on him in their youth but once, and then passed away. Under different circumstances, who knows but one of them might have been his? As it is, they have grown old apart from him; yet for him they retain their charms.